So tell me again, What is a diaconal minister? This is such an oft repeated question that Diaconal Minister Kay Heuer wrote a paper to answer it. How do you even say the word “diaconia”? or is it “diakonia”? Diakonia is a ministry of service, rooted in the ministry of Jesus. Often the jug, bowl and towel symbolize this humble service, commemorating the action of Jesus in stepping aside from his social privilege, picking up the towel of a servant and washing the feet of others. Jesus uses the Greek word for service to describe his own ministry, and from that Greek word we get diakonia and diaconal. More commonly known are the words: deacon and deaconess. They all come from the same root. For more on the diaconal ministry in the early church see Early Diaconal History on this site. Diaconal ministers in the United Church proclaim that “God calls us to this Diaconal Ministry.” A Statement of Vision, developed by the community over several years describes this diaconal ministry. See also a printable version of the statement. 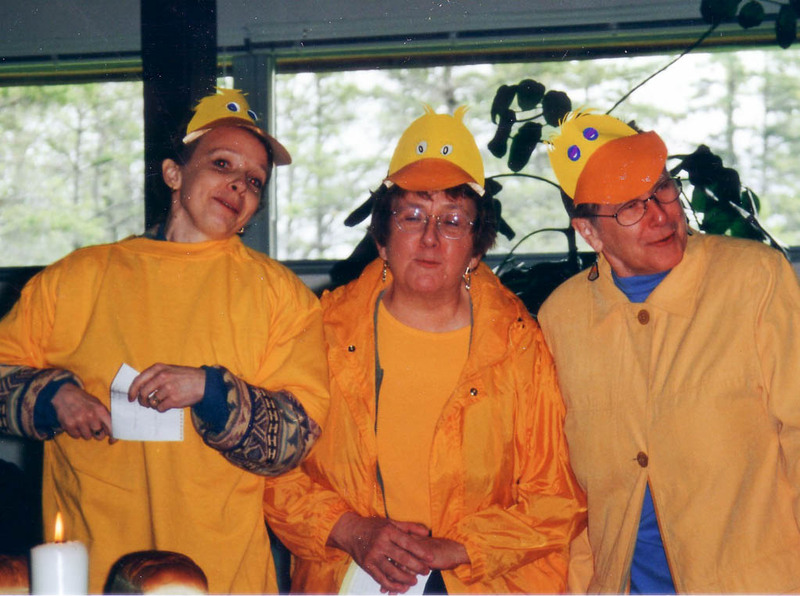 Diaconal ministry is fun: ask these “DUCCs”: Karen Thorne, JoAnn Wilson Symonds and Dorothy Naylor. In the United Church of Canada there are two kinds of diaconal ministers. Most of the diaconal ministries belong to the laity, the people who enact their faith on a daily basis, rendering service in the world. However, only a small number of lay people would identify themselves as being in diaconal ministry, more likely thinking of themselves simply as followers of Jesus. Some however, do name themselves as diaconal, and some of those people belong to Diakonia of the United Church. Most of the members of DUCC though are what is sometimes called “BIG D” Diaconal Ministers. The roots of this ministry are found in the United Church’s Deaconess Order, which was established in 1895. (For more on the Deaconess Order click here.) Today, Diaconal Ministers are commissioned to the ministry of Education, Service, and Pastoral Care. The gender neutral term Diaconal Minister was chosen in the 1980s to replace Deaconess and Certified Churchman (what the men were called starting in the 1960s.) It was at this time that Diaconal Ministers were recognized as members of the Order of Ministry in the United Church. It is a stream of ministry that is equal to that of Ordained Ministers. Currently, there are 286 Diaconal Ministers (accurate Fall 2012). Regrettably, at times, the different expressions of ministry in the church are set against each other in a competition. The Ordained ministry of word and sacrament is frequently viewed as the normative ministry and diaconal ministry can be less valued. Diaconal ministers do not make a claim of exclusivity on the call to service and education and try not to define their call in comparison to that of the laity or other ministry vocations. Rather, diaconal ministers want to celebrate with others when there is a resonance in vocation and be respectful of the differences. One way of describing diaconal ministry is by function, demonstrated in the words in the Service of Commissioning: education, service and pastoral care. This approach can be useful but is too limited,as these tasks are also undertaken by people in other streams of ministry. It is also limited when the terms are narrowly defined. It is obvious how a Community Minister, on the front lines at a food bank is in a ministry of service, but less easy to identify this for someone doing Family Ministry in a congregation. Yet, when they advocate for a place for the children to bring leadership, for example, they are working with the less powerful and rendering the kind of service Jesus modeled. 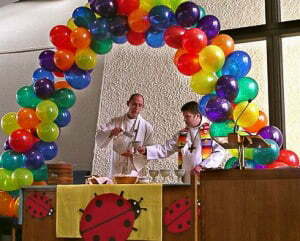 In team ministry Diaconal Ministers Ross White (left) and Mark Green celebrate at Cadboro Bay United Church. Many United Church diaconal ministers offer a ministry of word and sacrament and this adds to the limitation of a functional understanding. When a Diaconal Minister is the only staff in a congregation, they are looked to by the congregation to take on worship leadership, including the sacraments. Diaconal ministers are regularly granted the right by Conferences, upon request of the congregation and Presbytery, to administer communion and baptism. Even those in a team ministry are often given sacramental responsibility. For some Diaconal Ministers is important to participate in the activities the church values, such as preaching and the sacraments, to be recognized as equals with their colleagues. 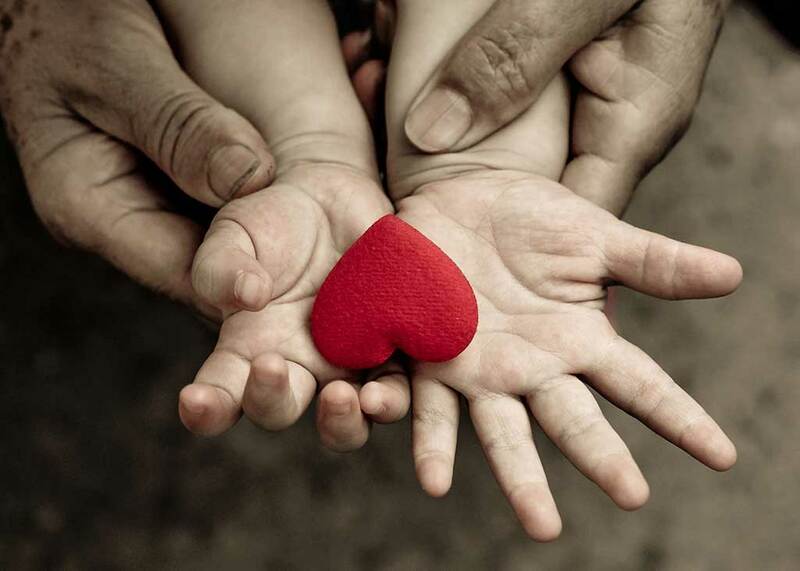 They often try to use the power that they are given with these roles to empower and uplift those on the edges, in keeping with the core of their diaconal commitment. Other Diaconal Ministers, arguing from a functional perspective, feel that for Diaconal Ministers to take on the sacramental role blurs the distinction between diaconal and ordained to the disadvantage of diaconal ministry. In this time of dramatic change in the church, and a reorganizing of priorities, what the church most highly values is also changing. This context for the debate about diaconal ministry and sacrament makes for a lively discussion. 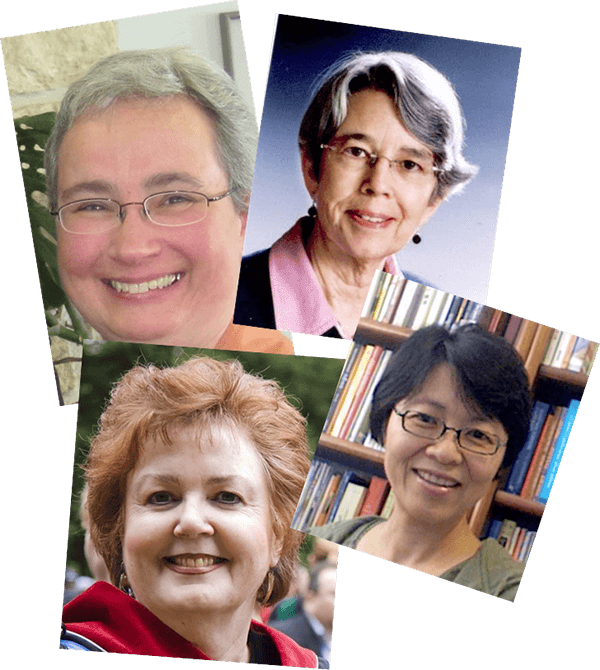 Distinctive of the United Church’s diaconal ministers is their identity as a community. 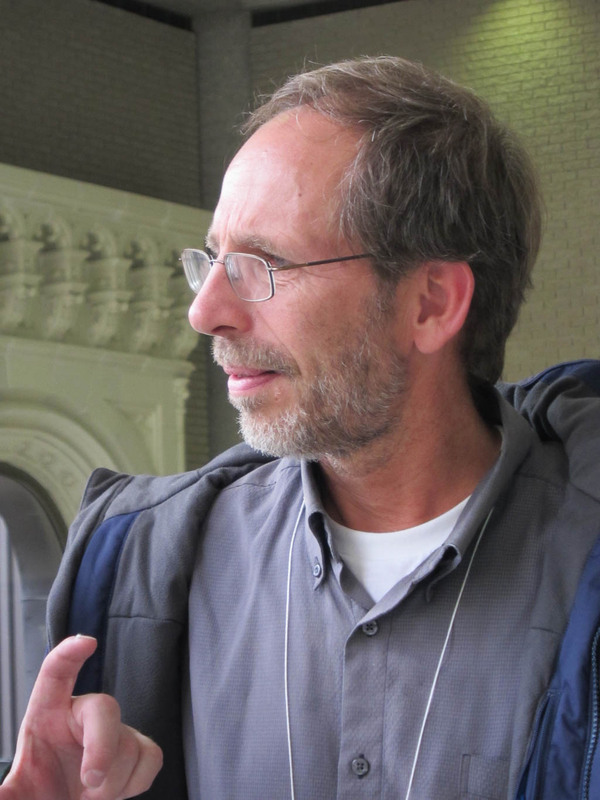 DUCC, Diakonia of the United Church, is emblematic of this communal understanding. Beginning with their education, most commonly through the Centre for Christian Studies, diaconal ministers undergo a process of formation and learn about the responsibilities and the benefits of being in community. For many diaconal ministers, the strength garnered from the community helps them to weather struggles and stay committed to the principles of a diaconal call. Diaconal ministers meet as a community, formally and informally in their regions and formally every 2 years in a National Gathering. Recently the tradition of giving Deaconesses a pin was revived in the creation of a new pin, now worn by many diaconal folks. 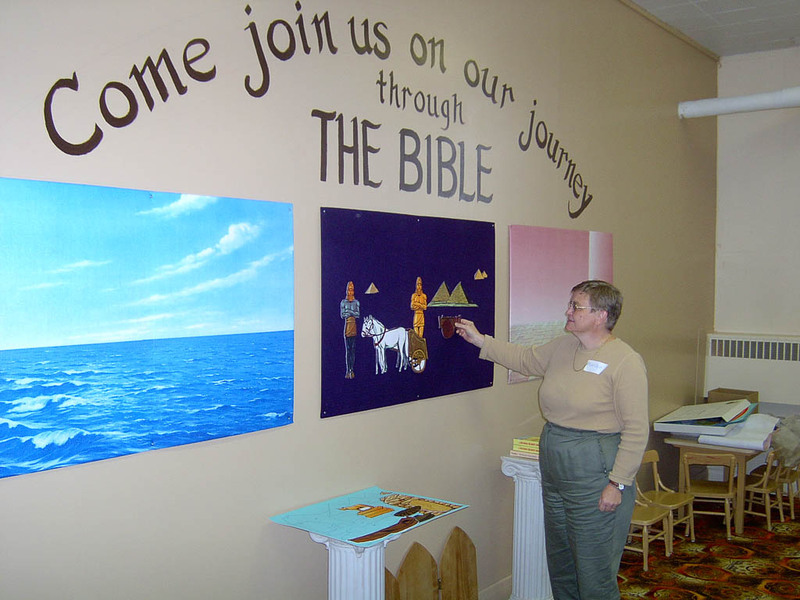 Bringing the stories of the bible alive in a fun and interactive way, Diaconal Minister Marilyn Shaw is learning along with the children. Membership in DUCC is open to anyone affiliated in some way with the United Church who understands themselves to be in diaconal ministry. You’re involvement is welcomed! Expressions of diaconal ministry are diverse but share in common a commitment to service in the name of Jesus. 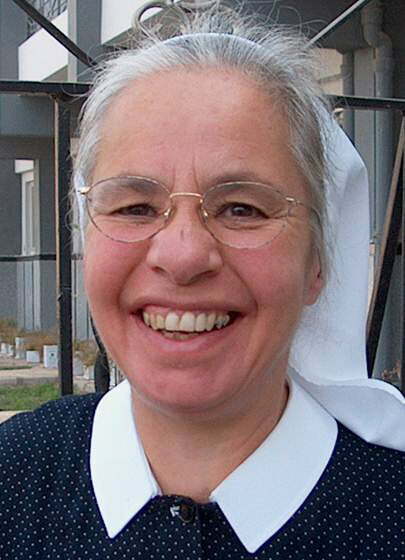 Some Deaconesses, like this one from France, continue to wear uniforms. The diaconal community extends beyond DUCC and even Canada into a global network of diaconal organizations. With international gatherings every few years through DIAKONIA World Federation and its regions and special projects and events sponsored by these organizations and the World Council of Churches there are many opportunities for this ecumenical community to grow and be nurtured.